Bob was over tonight, talking with us about plans for the upstairs bedrooms. 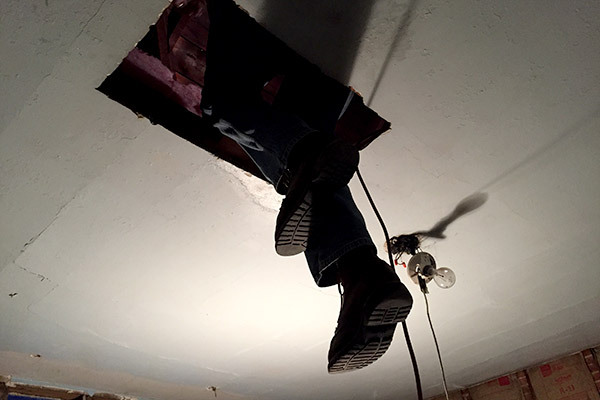 He went up into the attic to investigate the roofline. It’s been a long while since anyone’s been up there. Liz and Bob, checking things out. Trying to gauge whether we can vault the ceiling in the bedroom. 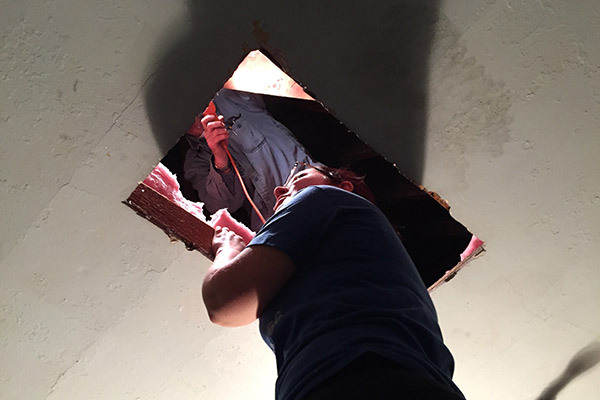 First Layer Complete: The Attic is Done!